The Jolt Power Bank from AnyPromo is a 2200 mAh portable device charger with a lithium ion battery. 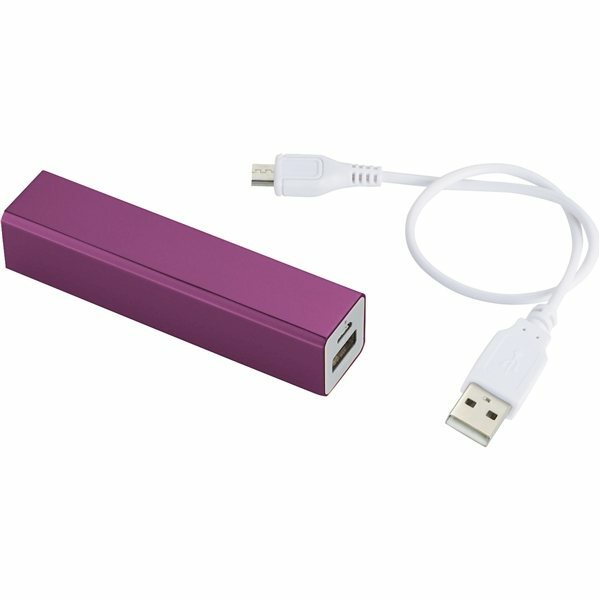 The Jolt portable charger comes with a cable to connect to any micro-USB device or recharge the power bank itself. Available with a color imprint or laser Etching on a .5" x 2.5" area. 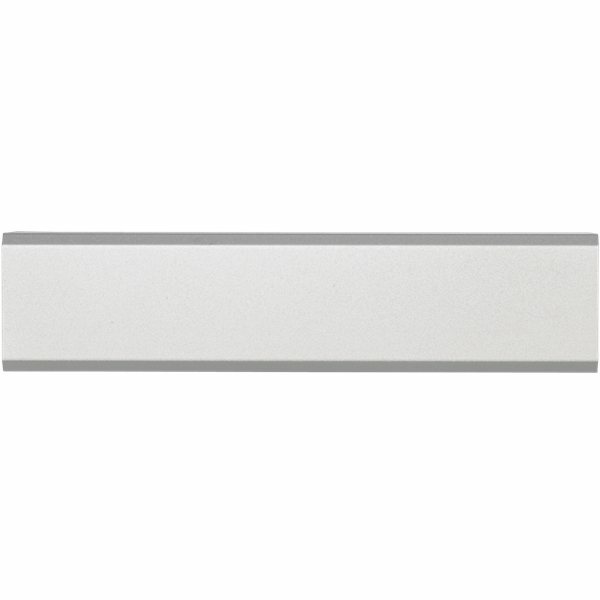 The Jolt also features an aluminum body for a sleek, professional look and a quality feel. The aluminum body not only allows this custom power bank to accept a laser etch, but makes it more durable than devices merely housed in plastic. 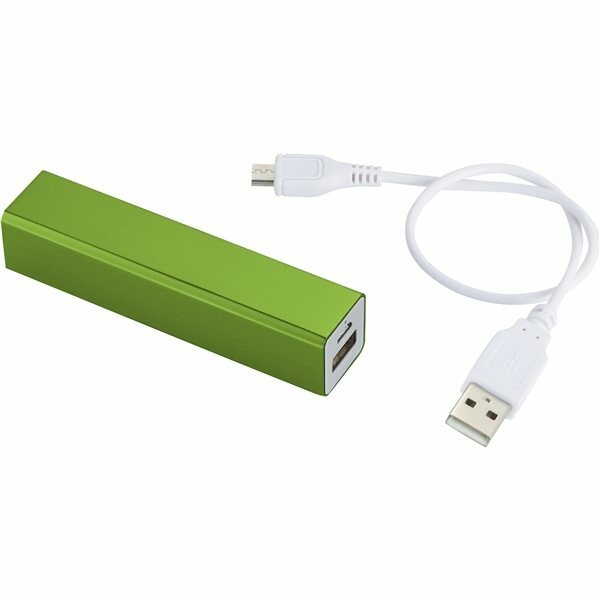 Power banks are a great giveaway because they have a higher perceived value than most other items, and can prevent getting stranded due to a dead phone. With the Jolt power bank, your customers will be able to "keep it 100", even without a power outlet. The Jolt charger battery features an aluminum body and a rechargeable battery. The 2,200 mAh internal Li-Ion Grade A battery has enough life to fully charge an iPhone, giving you about 8 hours of additional talk time. 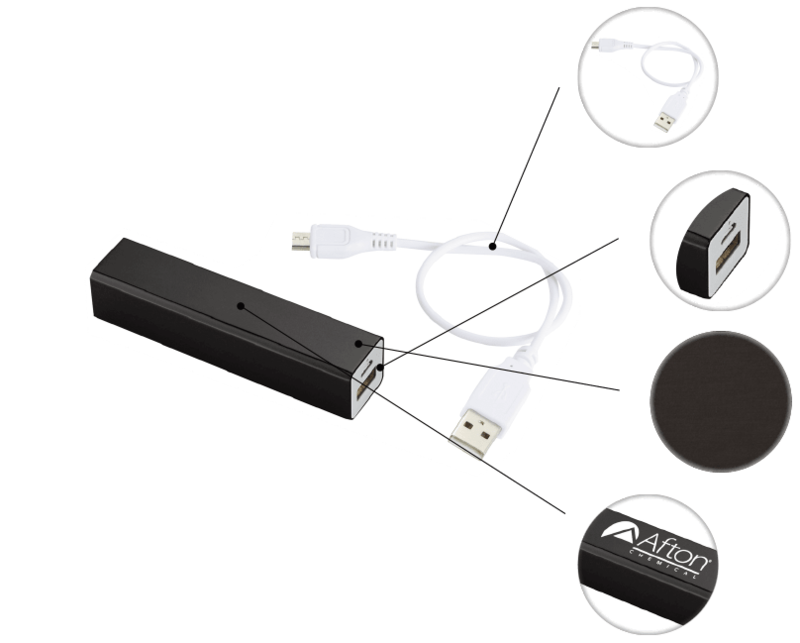 Jolt Charger includes a USB to Micro USB connecting cable which can recharge the battery backup or be used to charge up devices with a Micro USB input like Android Smartphones from Samsung, Motorola, HTC, Nokia, and others. Our batteries have undergone evaluation for numerous quality standards. Includes battery, micro-USB charging cable and instructions for use. Customize the Jolt with a color imprint to represent your brand or a laser etch for a premium look. The 2,200 mAh Li-lon battery is capable of fully charging most iPhone and Android smartphones. Need this product in a hurry for an upcoming giveaway? We’ve got you covered with free rush production. Other imprint methods/areas may be available; please call for details. Please note that product images may not depict the standard imprint method included in pricing. All 1 Color White Imprints Must be Enter as a Laser Imprint Power banks ship air will be required to pay Hazmat charge of $45 per box. Great reaction from clients. We gave them out right before a hurricane and got lots of good responses. Perfect! Our logo was laser etched into the battery pack and was absolutely perfect! It arrived on time and packaged nicely! Thank you! I have yet to use the item, but I'm highly pleased with the look and the quick turnaround after ordering! I have already recommended these to my agents!